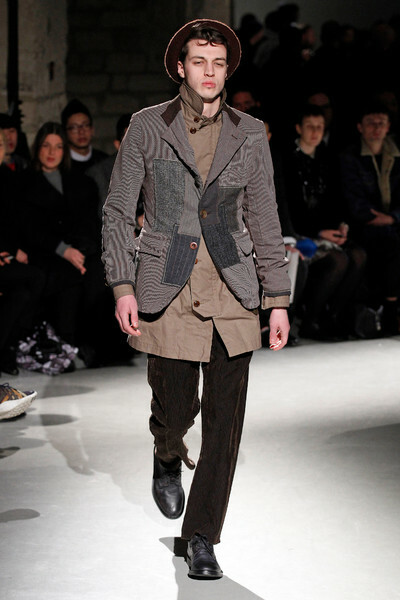 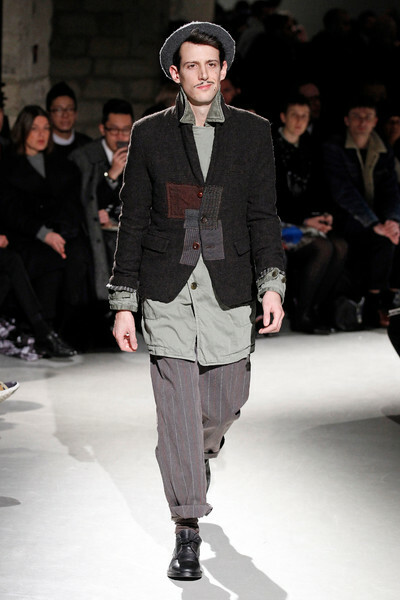 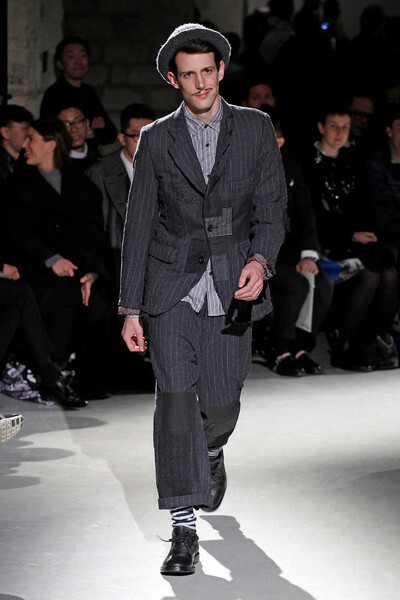 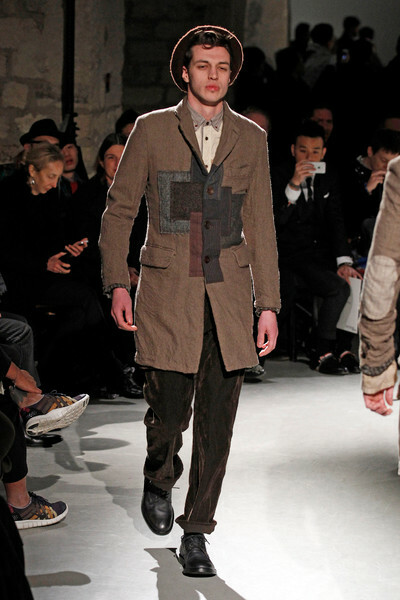 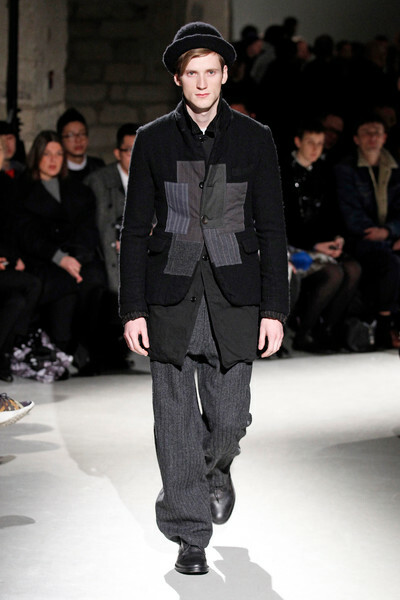 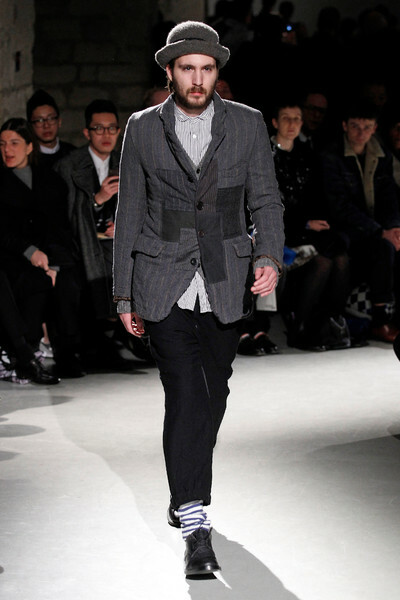 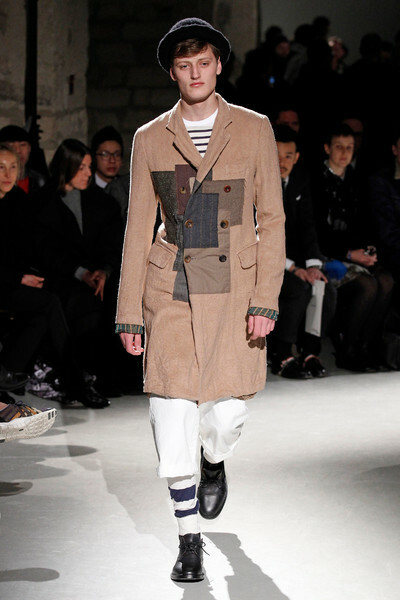 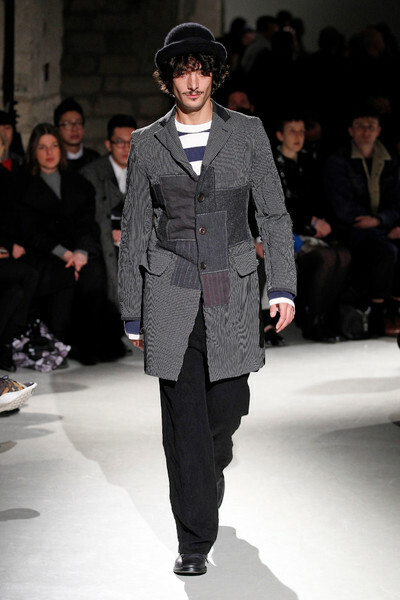 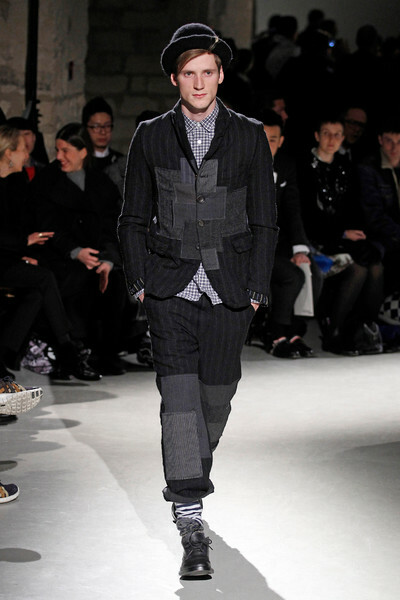 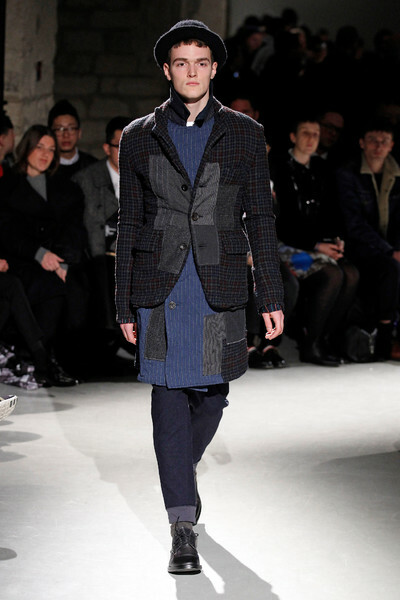 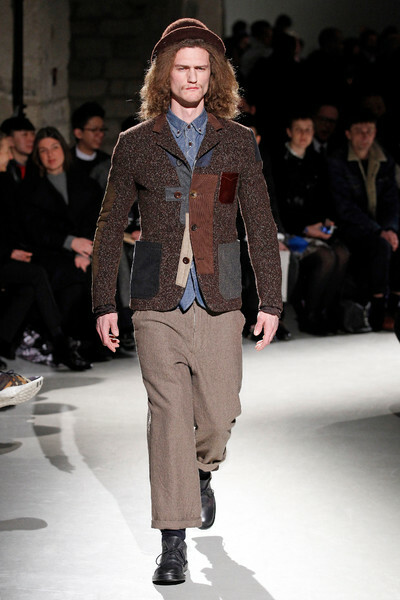 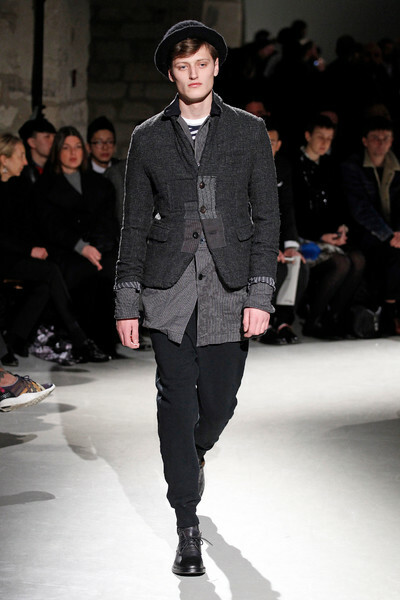 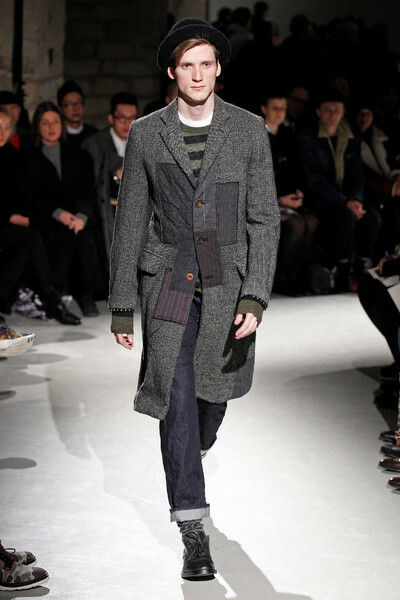 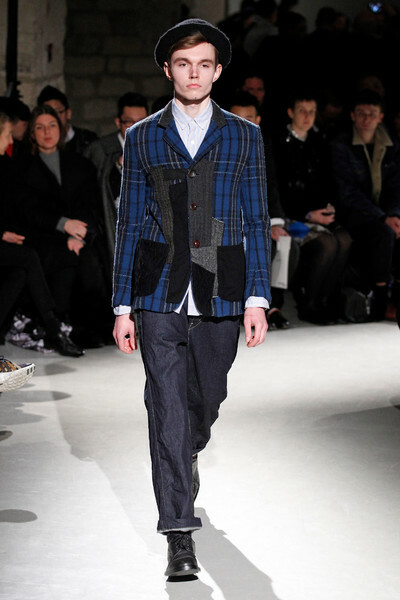 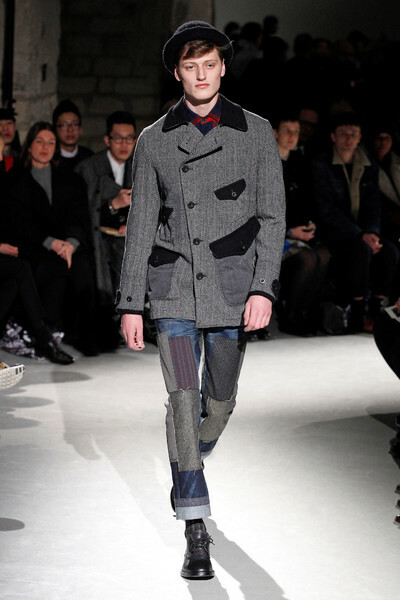 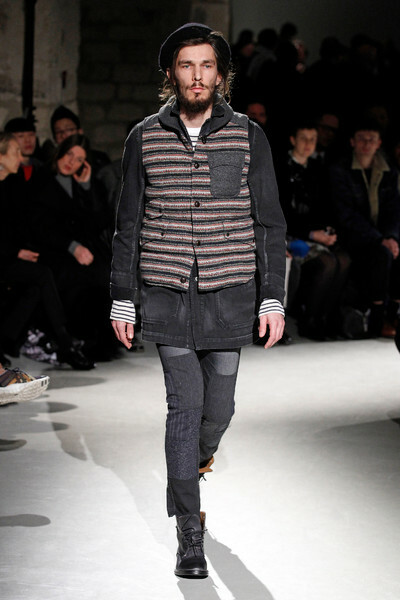 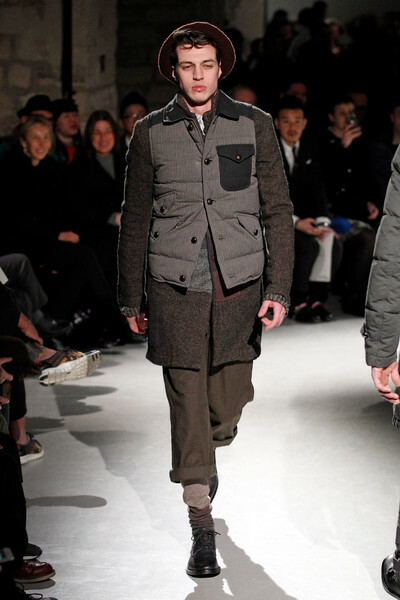 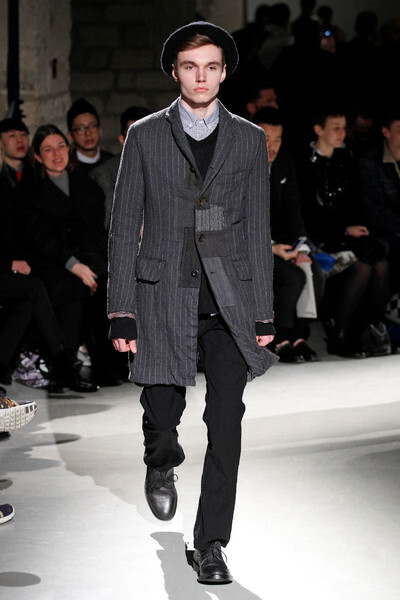 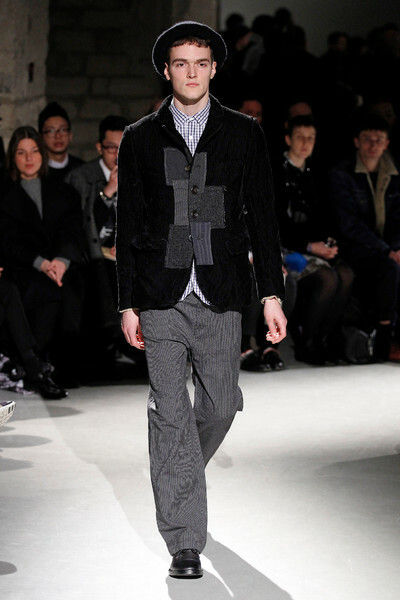 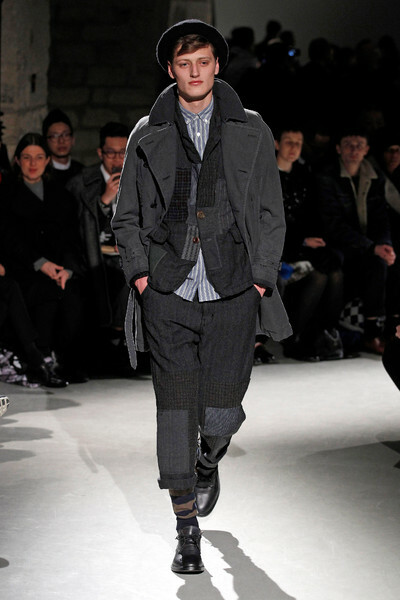 It was patchwork-mania at Junya Watanabe. 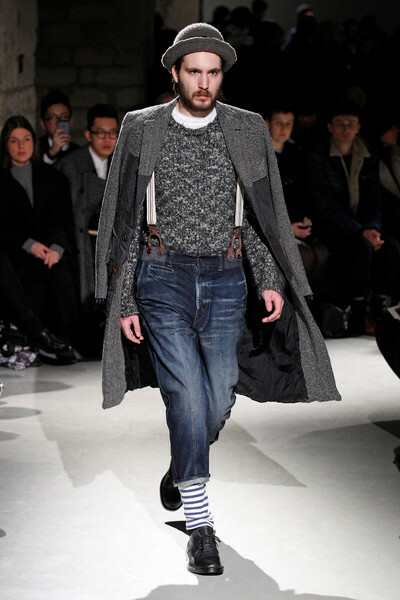 Loose fitting pants and wool jackets were given hobo treatment. 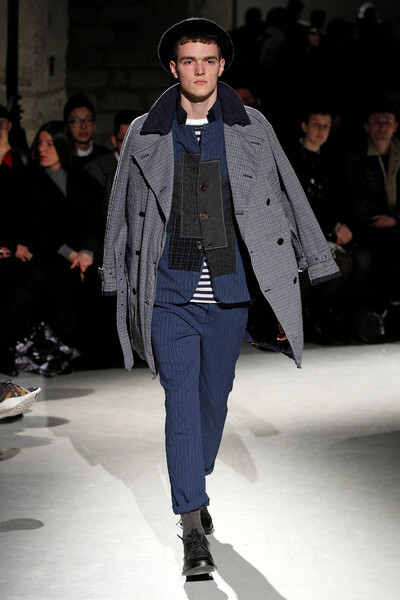 As if Watanabe decided to hide up holes in his garments or decided to work with leftover fabrics from earlier collections. 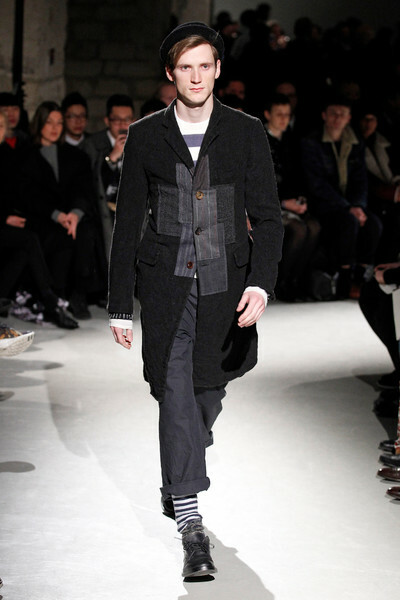 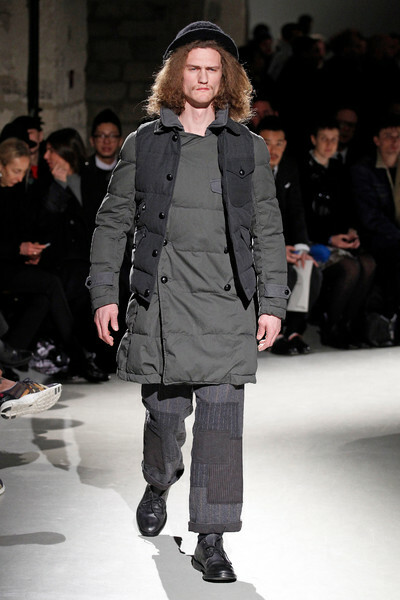 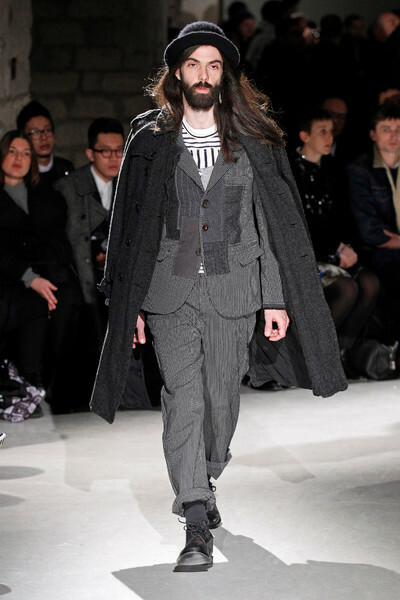 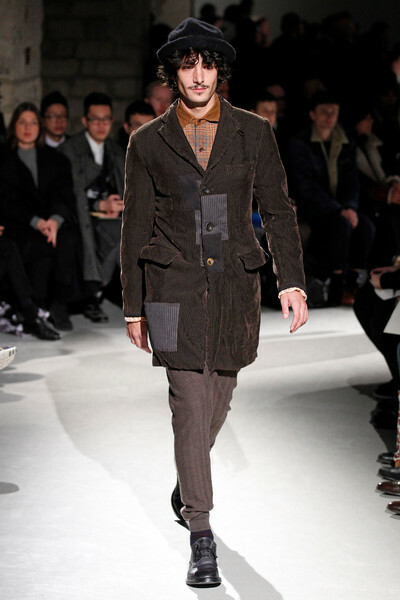 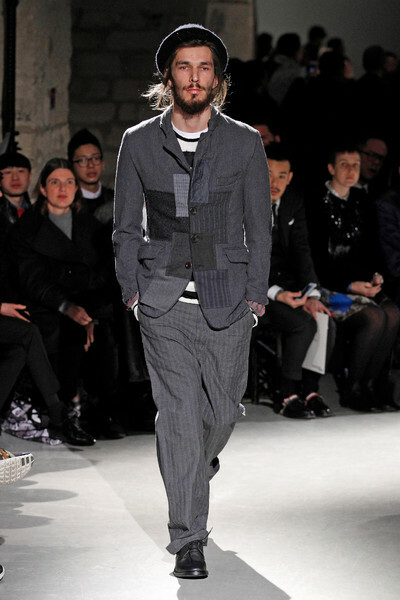 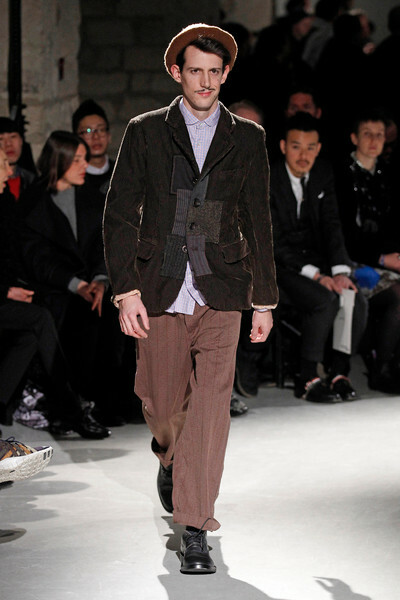 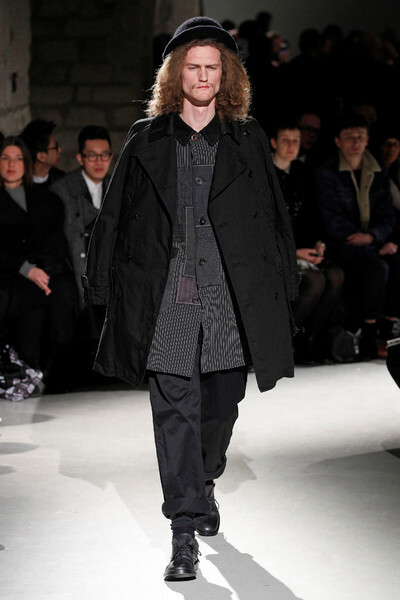 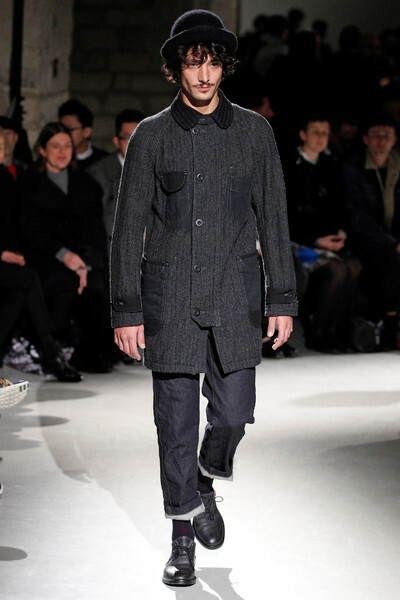 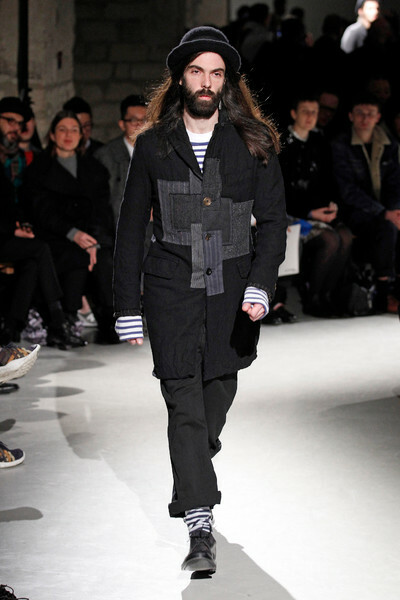 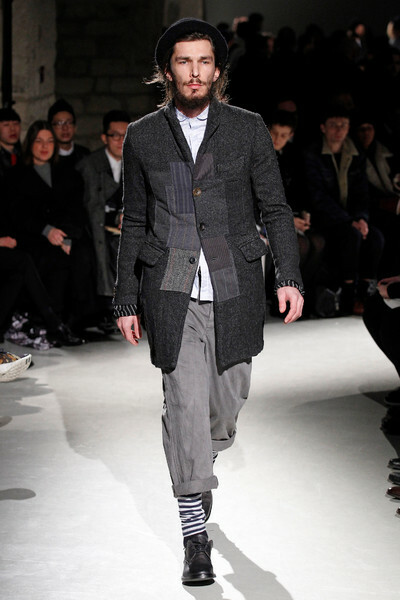 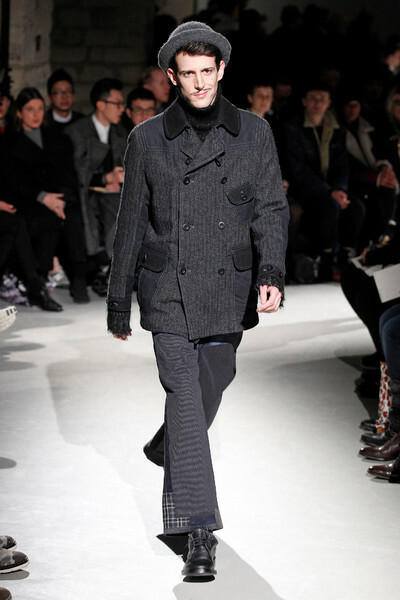 Unshaved long haired models fit the collection, wearing bowler hats on the go. 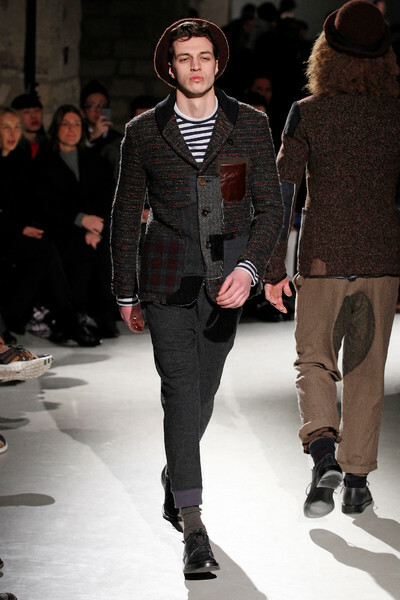 Their looks had a certain British twist, that came in the form of grey pinstripe (a huge menswear trend) and tartan checked fabrics. 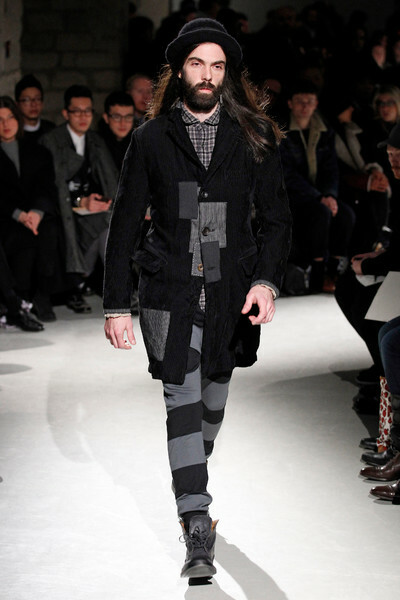 A black and grey coat mixed with a striped pair of legging looked more scruffier due to two being combined. 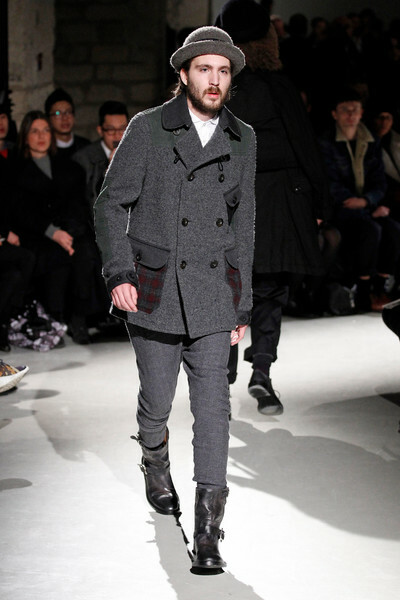 Jackets and body warmers worn on top of coats seemed too small, because the styling. 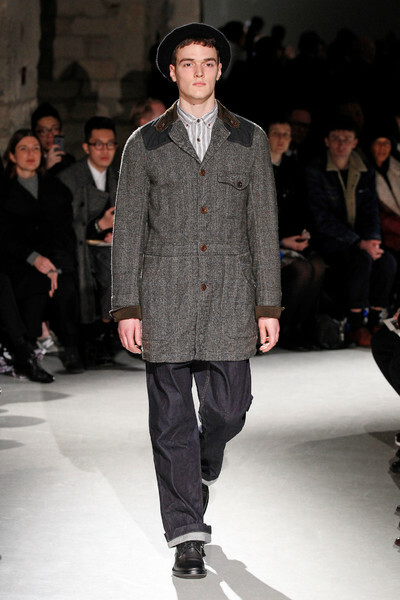 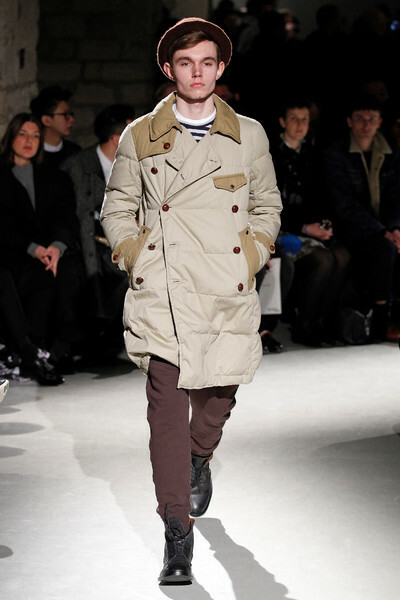 Yet a toggle coat, a trench coat and a jacket with red shaded tartan pockets did look great. 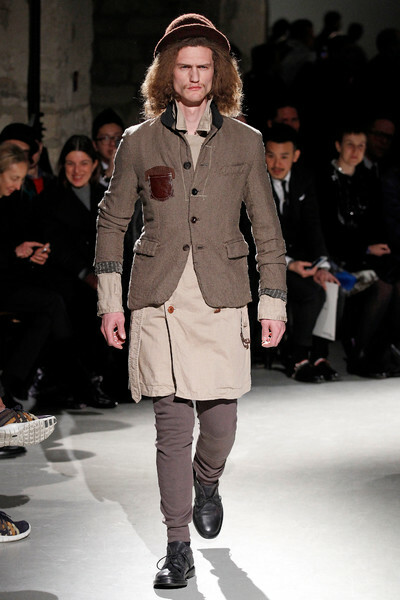 Perhaps, if we could see some of the items styled differently we would appreciate them even more.